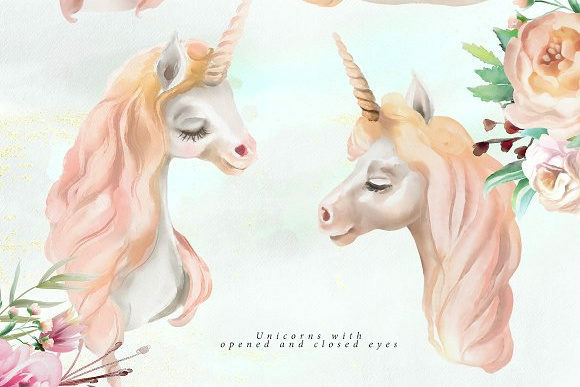 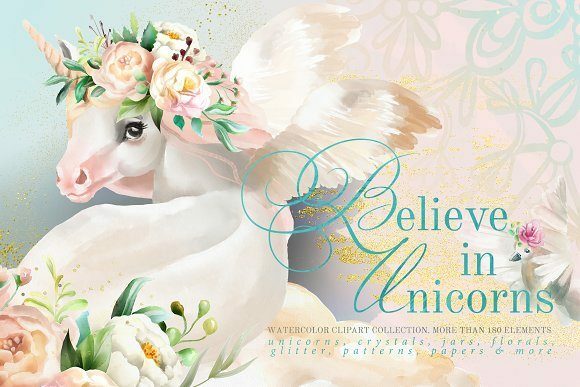 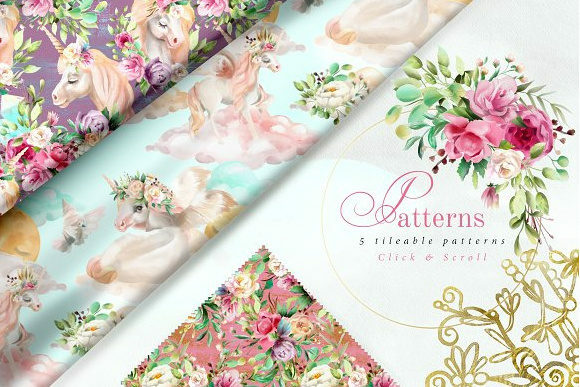 With this clipart set you have all you need to create beautiful designs in the Unicorns theme. 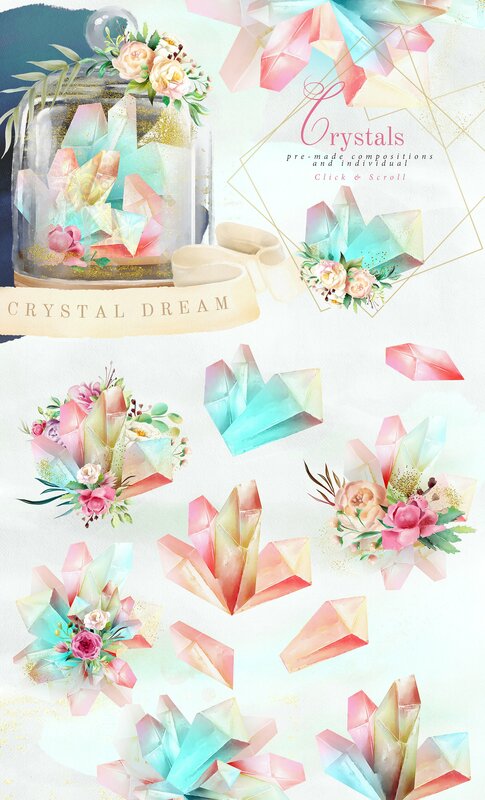 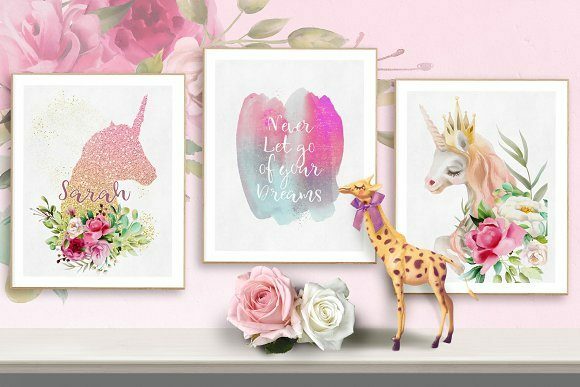 Collection includes wide choice of pre-maid compositions with unicorns, crystals, whimsical jars and of course floral arrangements. 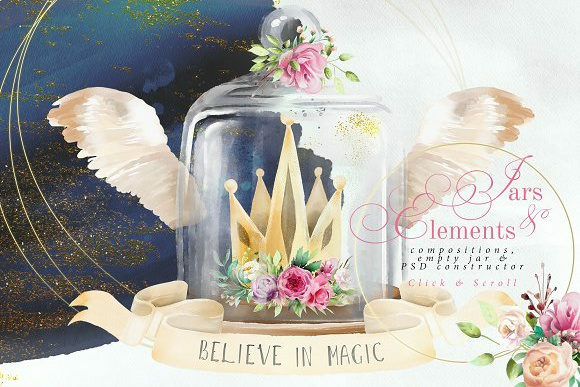 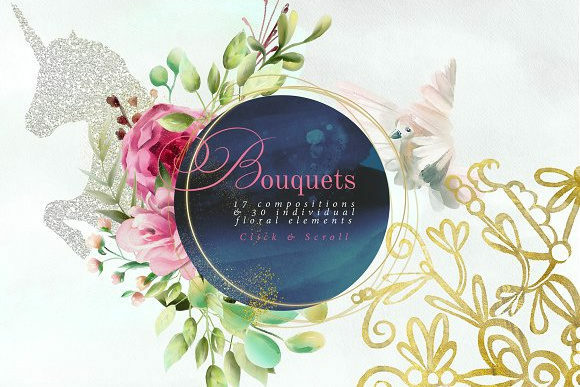 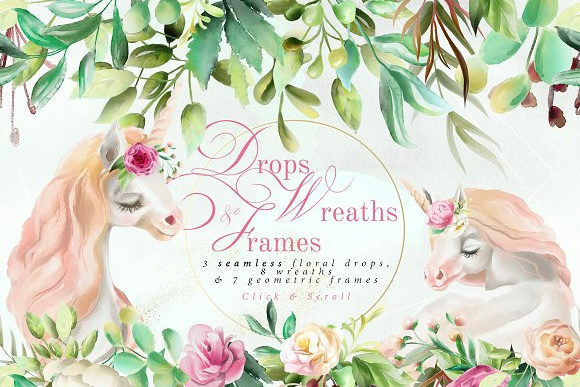 Not decorated versions are included – combine elements to create your own beautiful compositions! 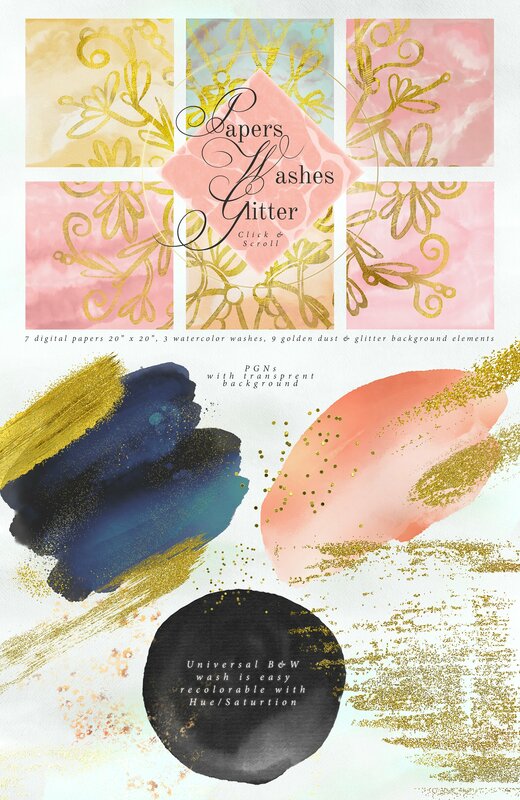 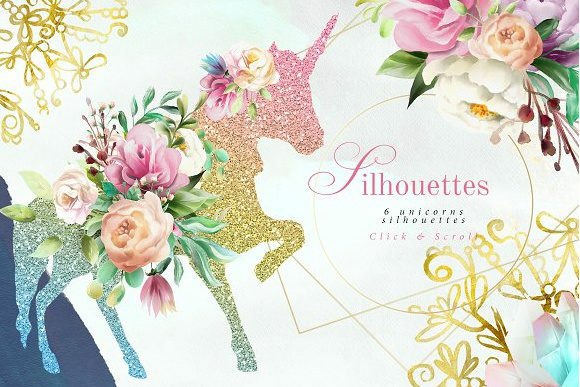 Shiny glitter unicorn silhouettes will be the great addition to your designs, the same as background elements like watercolor washes, golden brush strokes and dust. 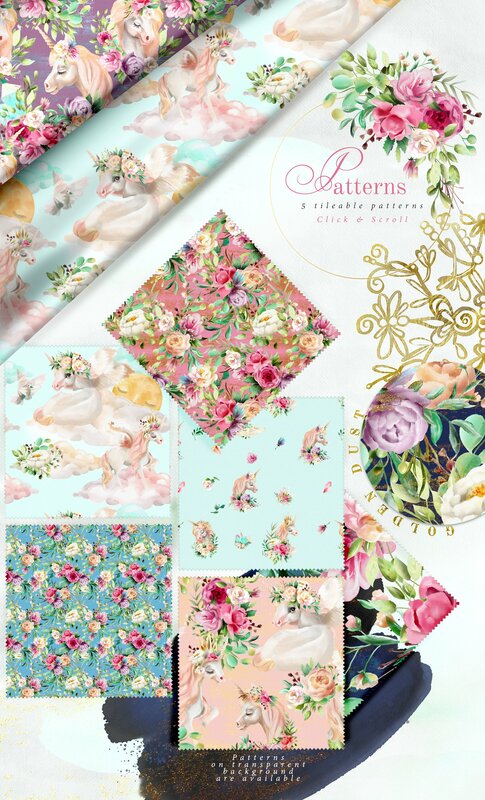 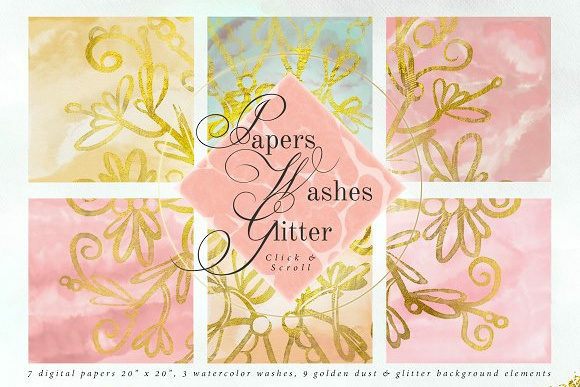 Beautiful watercolor digital papers and tileable patterns will work great as backgrounds. 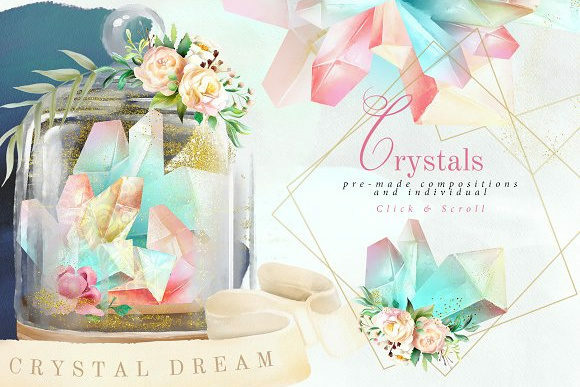 Create professional looking designs in minutes!